We braved the cold and sleet on Saturday lunchtime in a bid to earn an afternoon lazing on the sofa in front of the TV and fire. Fortified by bacon and fried egg sandwiches (diet?, what diet?) we decided to try out a new route through the woods near us. For much of the way the kids were delighted to be able to wade along through a stream, whilst we took the path beside it. 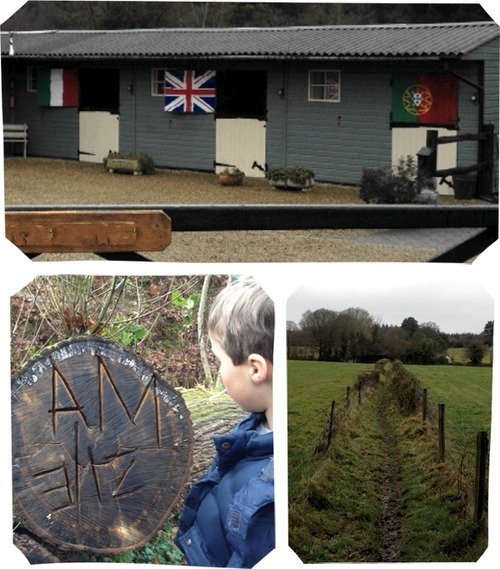 We spotted an amazing den in a woodland garden, a bizarre abandoned swimming pool, some unusual stable doors and tree stump grafitti en route. Our trek was nearly three miles in total which was quite a Herculean effort on the part of the kids given how bitterly cold it was (and how wet they’d got in the stream). The hot chocolate with whipped cream* that we treated ourselves to when we got home was therefore well deserved. 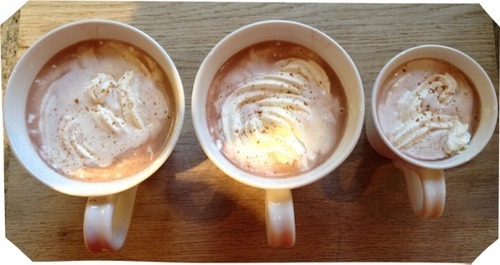 * My daughter doesn’t like hot chocolate, hence there being only three cups! Hot blackcurrant juice was on hand for her. 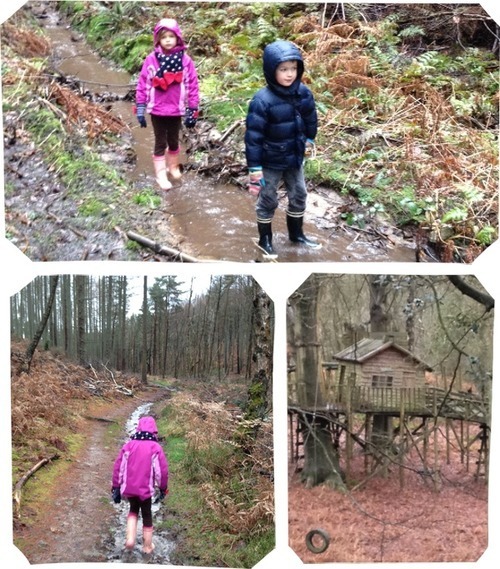 This entry was posted in Out & About and tagged hot chocolate, Surrey, Surrey Hills, walk. Bookmark the permalink.